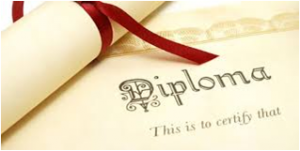 DIPLOMA in Engineering and Technology – Diploma programs are a higher education opportunity that schools around the world offer. This program is often a clear path to employment. The Diploma in Engineering, also Diploma of Engineering or Diploma in Technical Education are programmes focused on practical and skills-oriented training. It is a technical degree that only covers the essentials when ranked with an undergraduate engineering degree. It aims to provide students with industry or job related engineering knowledge, scientific skills, computing & analysis, mathematical techniques, a sound knowledge of English to communicate in the field and ability to apply problem solving techniques. Its duration is 2–3 years. Many countries in the world recognize it as equivalent to Pre-Engineering or Bridging course when considered for continuing studies in engineering related bachelors or associate degree programmes. After successful completion of Diploma in Engineering course, students can either continue further Engineering studies in undergraduate level or specialize in certain fields with an advanced diploma. Diploma holders gets employment as technicians, technologists, supervisors, superintendents, foremen, machinist, workshop technicians, draughtsman, station technicians (energy, thermal, aeronautical), automobile technicians, maintenance & service technicians, equipment mechanics and technicians, CAD/CAM programmer, agricultural overseers, instrument technicians, junior instructors, manufacturing, tool and die designers, electricians…etc.